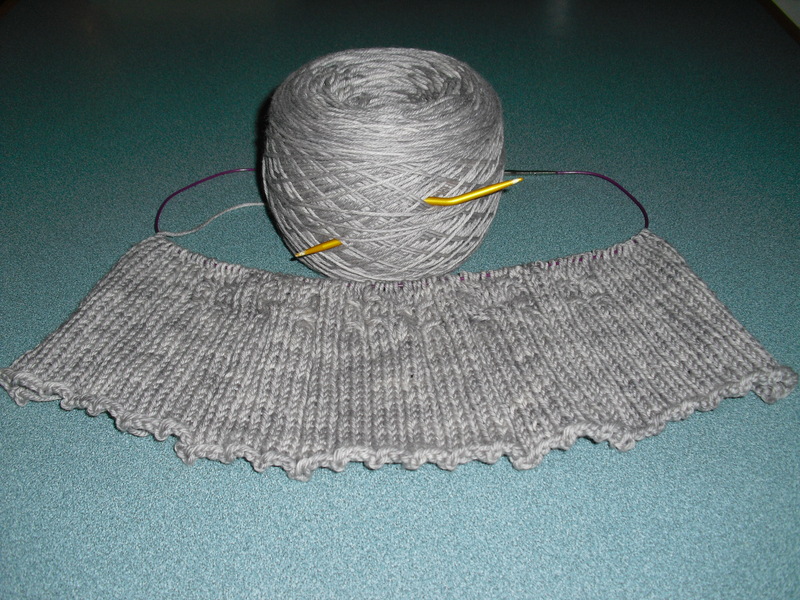 But finally in August I refocused and by early September I finished the fourth shawl. 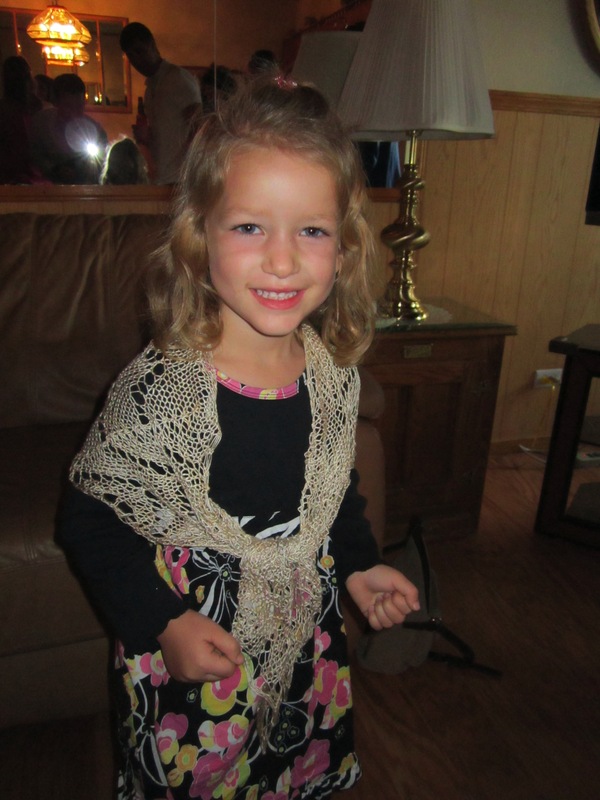 I had a small ball of leftover yarn from each shawl, and those four combined made a tiny version of the Traveling Woman for the flower girl. Of course, I didn't finish it until a few days before the wedding, but in my defense it was only because I was focusing on my shawl. Anyway, the knitting all went smoothly and the only hitch I ran into was that one of the skeins was a drastically different color then the other 3, even though it was the same color way. It is hand painted so variety is only to be expected, but this was significantly darker with more color variation then the others. I decided to give that one to my sister, the maid of honor, and play it off as if it was on purpose so she would stand out. On the flower girl shawl, I used the different yarn for the end and since it was darker it looked like I faded it on purpose. The effect was actually pretty cool! All in all, the girls seemed to like their gifts, so the work was worth it in the end. And hopefully they will be able to wear them outside of the wedding as well! 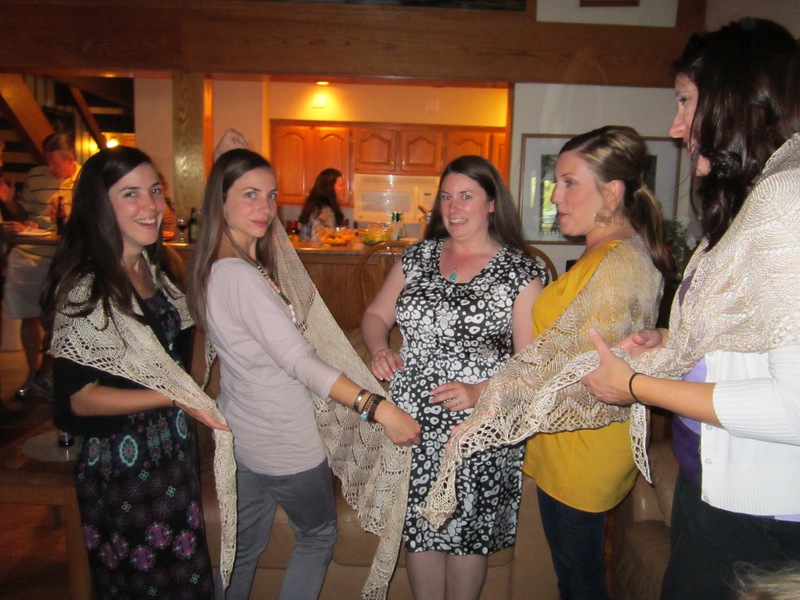 Now that the craziness of wedding knitting is over, all I want to do is knit the opposite of lace! I still love shawls, and will certainly come back to them but right now I need something different. So what is the opposite of lace you might ask? How about a worsted weight cardigan that is covered in cables and hooded? Enter the Cassidy cardigan by Bonne Marie Burns. 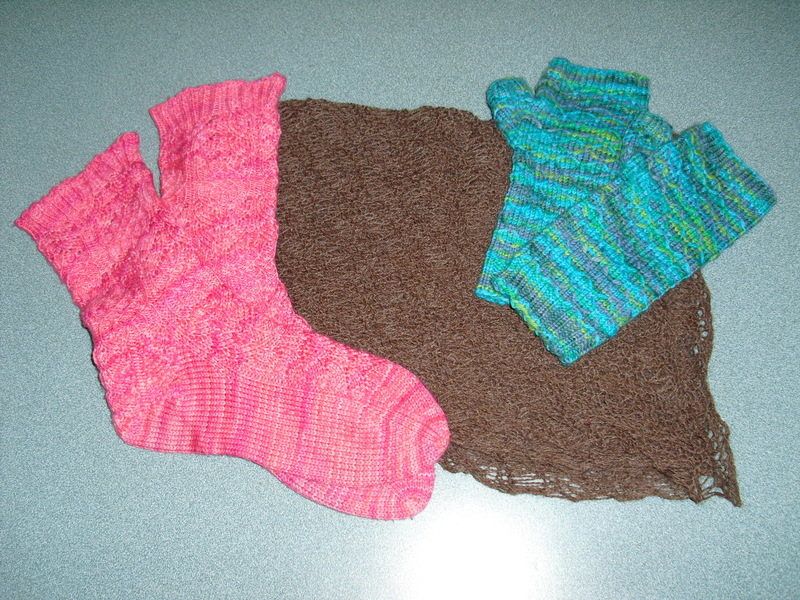 Still complicated, because I love interesting knitting, but completely different, and that is what I want! I swatched today and will be beginning my Cassidy shortly in the lovely light gray yarn from Miss Babs that I picked up at Sock Summit. I can't wait!